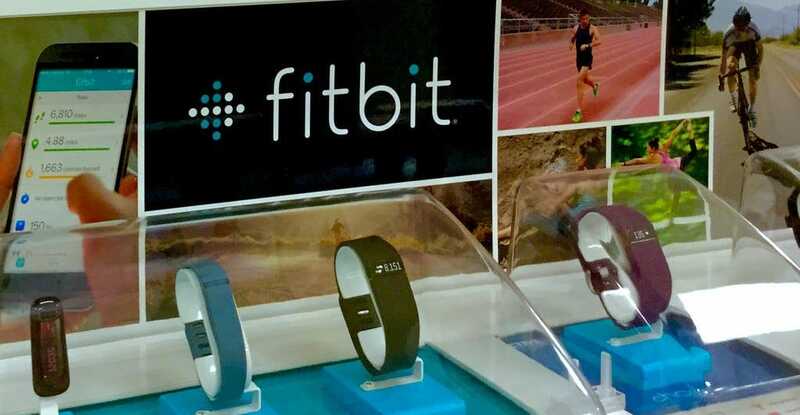 Fitbit is already a hot brand in today's fitness market. But, finding a good one for kids still remains a big challenge, at least for the most of us. At best, not every single pedometer in the series is as good for a child as we often think it is. And although it is believed that there is a Fitbit for everyone, you do have to be as meticulous as possible when choosing one for your little one. The overall objective of this guide is to help you find a simple activity tracker for your boy or girl in the shortest amount of time possible. When you choose the right fitness tracker, you will not only help your child get the motivation to take full charge of their health, but also enable them to set goals, execute them, and monitor their progress accordingly. Of course, Fitbit designs some of the most lucrative, long-lasting, sturdy fitness trackers in the world. But they aren’t at all designed equal. What are the Benefits of FitBit for Kids? The Best FitBit to Buy Your Kids in 2019? So let’s look at some of the highest quality that you can buy for your child and get the best value for your money. FitBit Flex Wireless Activity Wristband is more like an all-in-one tracker that enables you to monitor your child’s fitness activities right out of the box. From giving you an estimate of calories they burn and floors they climb to keeping watch on their heart rate and sleep patterns, this can do pretty much anything. However, it is not waterproof, so your child can’t use it in a pool. FitBit Blaze Smart Fitness Tracker looks so simple, at least in its design form. Yet, it does more than just monitoring your kid’s fitness activities. At best, this activity tracker is for two audiences: kids who want a combination of a fitness and activity tracker and a notification system and those who just need the device for fitness activities. 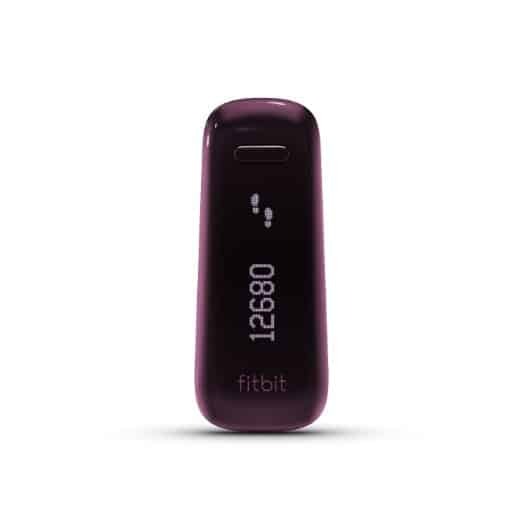 FitBit One Wireless Activity Tracker does more than just tracking steps, calories burned, stairs climbed, and distance covered. It goes even further to monitor sleep, including estimating how long a child sleeps and it even tells how well they slept. To put it in simple terms, if you are looking for a good tracker that can monitor your child’s sleep in the best way possible, try FitBit One. One of the most difficult things for just about any person involved in fitness activities is the struggle to quantify fitness goals. It is even hard to measure your child’s fitness metrics and set the right health goals right from off of the top of your head. And since your brain won’t be giving you accurate data anyway, it may be necessary to use a Fitbit instead. The device not only monitors all their fitness stats, but also helps you to measure and analyze their goals right out of the box. Since the tracker and the app record data for easy analysis, the device can encourage them to be more active without a reminder. A Fitbit can do a lot of things on the go. From counting steps taken and stairs climbed to monitoring heart rate and sleep quality, there is a lot that a parent and a child can do with a Fitbit than none at all. Take calorie count, for example. Is there a way in the world you are going to estimate how many calories your child consumes and burn right from off of the top of your head? With the help of an activity tracker from this company, you are able to get this data very easily and very fast. I’d say Fitbit makes a great option for parents that are looking for some sort of workout inspiration for their kids. Assuming you have already set some goals for your child, and you are helping them to work hard towards achieving these goals, a fitness watch from this company should be good enough to monitor every activity they get involved. When you visualize and analyze your child’s data, especially unique accomplishments, you are motivated to know that they can get better if they continue to exercise even more. A fitness watch cannot help your child to lose weight or become fit overnight. Keep in mind that this is purely a device built to motivate your child to stay active. FitBit Flex features a one of its own kind design, a stylish look that other brands haven’t been able to emulate yet. But it is not a good option for teens that love to swim. Of course, the band is water-resistant. However, if you have a child that loves the pool, Flex won’t help to monitor their workout in water. The Flex has a good data synchronization range, usually about 20 feet away from your smartphone. You can synchronize data to smartphones, tablets, and computers easily and fast. Synchronizing to your smartphone only requires your Internet connection and Bluetooth 4.0 wireless technology. If you want to synchronize to your computer, you may need Internet connection as well as a USB port. This device can track just about anything and display accurate results. You can use it to monitor your kid’s heart rate, floors climbed, calories burned, as well as distance walked. It also has an integrated silent alarm that can help your child wake up on time for school or morning exercise. As much as it is water-resistant enough to stand rain, sweat, and possible water splash, the Flex is not waterproof. As at now, there isn’t enough information that you can rely on to ascertain that the product is suitable for swimming. If you have a child that loves to swim, you might want to consider another option, because this one won’t track their active minutes in water. Also, you want to take this off your child’s wrist before they go to the shower, because it is not shower proof. You could say that FitBit Blaze Smart Fitness Watch boasts of a stylish design. Yet what I see as important about the device is the dual function power. At its best, the Blaze is both a watch and a fitness tracker. And while it is not the only device that does these two things, I’d say it works much better than most devices out there. FitBit Blaze for kids is designed to track all active minutes. In addition, it monitors every step a child takes, as well as floors climbed and distance covered. What I love about this device is the calorie counter. By knowing how much calories your child burns every day, you can create a good meal plan that allows them to eat the right amount of calories in every meal. You might never find a multi-sport tracking device as good as Blaze for boys and girls by FitBit. This device can track cross training, gym sessions, cardiovascular workouts, and biking. And with the help of SmartTrack, FitBit Blaze can automatically capture workout statistics to the relevant dashboard. The notification system makes the Blaze a perfect device for teenagers that love to receive alerts. I think the integration of this feature is unnecessary, especially if the tracker is intended solely for children. But families that love fitness gadgets that can do multiple tasks will definitely love this one. The Blaze lets you stay connected with favorite apps all the time. But this only works as long as a phone is nearby. Over 12,000 people say Fitbit One is as useful as it can get. There are more than 1,000 questions asked and answered about this gadget. 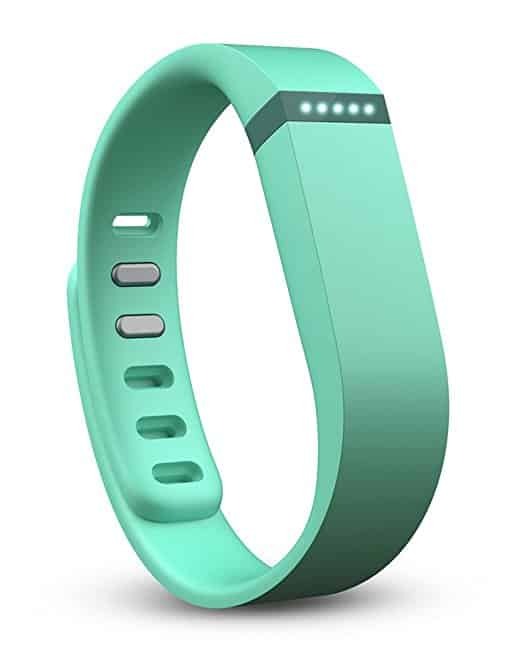 So there’s no point gainsaying that this is the most popular fitness tracker in the Fitbit's family. This device can help you set your child’s fitness goals as well as keep an eye on their progress. Besides its ability to monitor your tween’s daily activities, it comes with a silent alarm that can help them to wake up early in the morning. Fitbit One is the oldest devices the company has ever created. While the likes of Fitbit Alta for Kids are more advanced, Fitbit One still represents the original spirit of the Fitbit series. 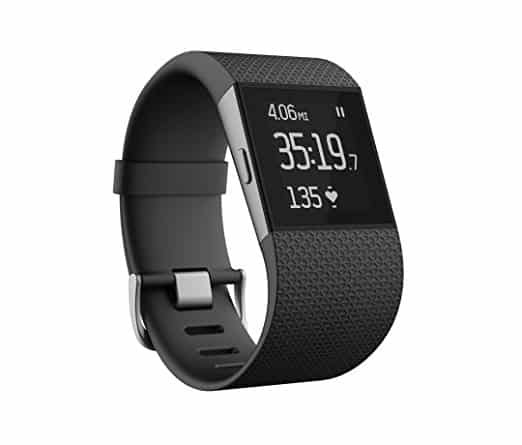 In fact, many fitness trackers designed by Fitbit draw their design inspiration as well as a number of functions from the Fitbit One. 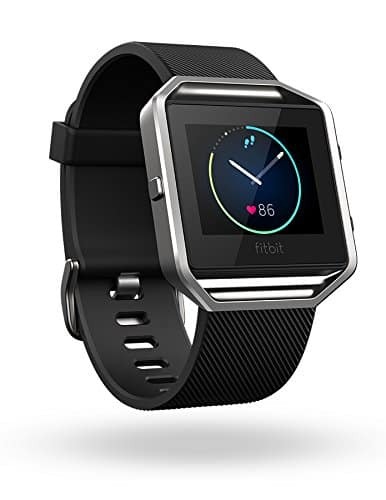 Fitbit One has proven to be of great value to people ever since it launched. It has over 12,000 reviews online, a number that’s quite high than for any FitBit device on the market. And we know that numbers don’t lie. To put this in brief, the positive reviews, as well as the hundreds of questions answered, make this the best FitBit for kids that money can ever buy. FitBit One works pretty much the same way FitBit Charge HR does. It tracks everything there is to track on the go. But it does have choking parts. And it is best if it is kept far away from the reach of toddlers (a child between 12 and 36 months old). 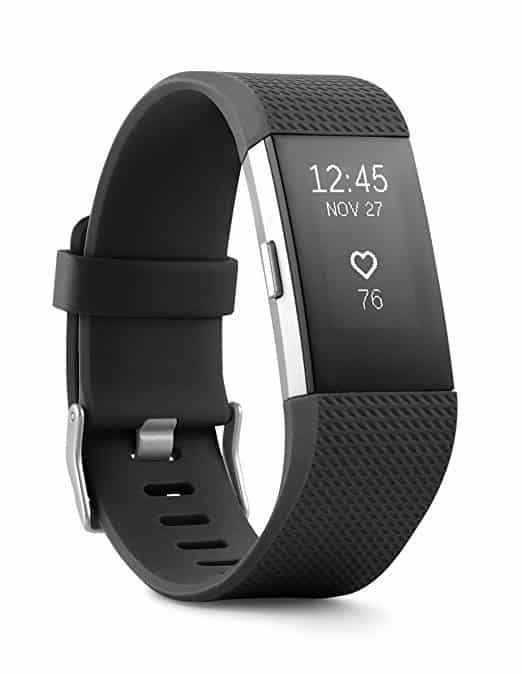 To keep it short and sweet, FitBit Charge 2 Heart Rate + Fitness Wristband is a grab-and-go health gadget that helps parents to gain more insight into their children’s fitness levels. By letting you quantify their fitness goals and analyze their progress, you are able to motivate them to continue working out and keep fit every day. At its best, FitBit Charge 2 Fitness Wristband does two things: it monitors fitness activities and sends notifications. The notification feature lets parents see calls, text, and calendar alerts by displaying them on the OLED display. The activity monitor not only tracks a majority of your child’s fitness activities, but also gives you a deeper understand of their fitness levels to help you personalize and improve their fitness goals. FitBit Charge 2 Heart Rate Wristband for kids is the only health monitor that features guided breathing exercise. With the help of guided breathing sessions, you can train your child to inhale and exhale in the best way possible and rhythmically. At the end of the day, the primary goal of guided breathing is to ascertain that your son or daughter inhale and exhale properly; not too slow and not too fast. FitBit Charge 2 HR doesn’t just track how well and how long a child sleeps. It also has a silent vibrating alarm clock they can use to wake them up early in the morning. FitBit Surge Fitness Super Watch is an all-in-one activity tracker that does almost everything and anything that you can imagine. From tracking workout and monitoring your child’s sleep to displaying notifications on the touchscreen display and synchronizing stats wirelessly and effortlessly with over 150 smart devices, there’s just more to Surge Super Watch than what’s typically considered normal. FitBit Surge Super Watch for kids uses a 3-axis gyroscope and a 3-axis accelerometer to track almost all aspect of your son or daughter’s fitness and life regime. From tracking their steps and distance covered to monitoring calories burned and active minutes, these two technologies help you to quantify your child’s fitness lifestyle with ease. Besides monitoring your heart rate on a 24/7 basis, FitBit Surge Super Watch also monitors your kid’s sleeping patterns throughout the night. This fitness tracker also has two alarms: a vibrating-based alarm and a silent alarm. You can set either to help your child wake up in the morning. The 1.25-inch LCD touchscreen is 100% monochrome. So, it might not look appealing, especially if you are a parent who loves a combination of colors, but it’s necessary anyway. And it should work fine for your child. But is this display any way important? Yes, it is significant; because it enables you to view your child’s health and fitness stats any time you want to. While the notification system is great, it is limited to call alerts and text messages and not even useful for children. When it comes to buying the best FitBit for your kid, we need to look beyond the functionality of the product itself. Then, if the device is durable, stylish, and within your targeted budget, it would make a perfect fit for your child. Here are four questions to ask before buying a FitBit for your son or daughter. 1. Is FitBit Built to Last? It doesn’t always make sense to buy an activity tracker today only to need to replace it with a new one the day after. Therefore, it’s important to spend money on the best gadget for fitness as long as it is built to last. The reason why I recommend FitBit is because they are built with durability in mind. In fact, a FitBit activity monitor has the ability to withstand the rigors of frequent use. And it can last for a very long time before the need for replacement arises. 2. Does FitBit have a sync feature? More often than not, fitness trackers can work on their own without an additional device like a smartphone, tablet, or PC. But there is only so much that you can see on the touchscreen display. If you want to see more data that really enable you to quantify your child’s fitness regime, it would be best to invest in a cheap fitness tracker that supports data synchronization. FitBit is a good option because it has a sync feature that lets you synchronize data to your phone for analysis, comparison, and motivation. When you have the data for the long haul, it should be easy to make huge adjustments to your daughter or son’s fitness regime and even motivate them to work even harder towards a healthy lifestyle. 3. Will FitBit Meet My Child’s Needs? FitBit fitness trackers function almost equally. But they still differ in a way. ﻿Why does ﻿my child need this fitness tracker? If you are able to answer this question, it should be easy to choose a product that can meet your child’s needs without compromising on price and quality of the product itself. As an example, the likes of Fitbit Alta for Kids may be a good option for monitoring steps, active minutes, calories burned, and distance walked. But it is not a pool-proof device, hence not a good option for kids that love to swim. 4. Does FitBit for Boys and Girls have a Stylish Design? You are a parent. And you love things that look good to the eyes. If it is stylish, made to look gorgeous, and can make your child scream ‘it’s beautiful’, then it’s worth spending money on. FitBit designed for children seem to have some beauty and fashion appeal. In other words, the design is about as extraordinary as most watches can get. It is important to understand, though, that the concept of stylish design is 100% subjective. It’s all focused on visual taste, and has nothing to do with the real function of the device. In my opinion, this would be the least of the things to consider when buying a good FitBit for kids.